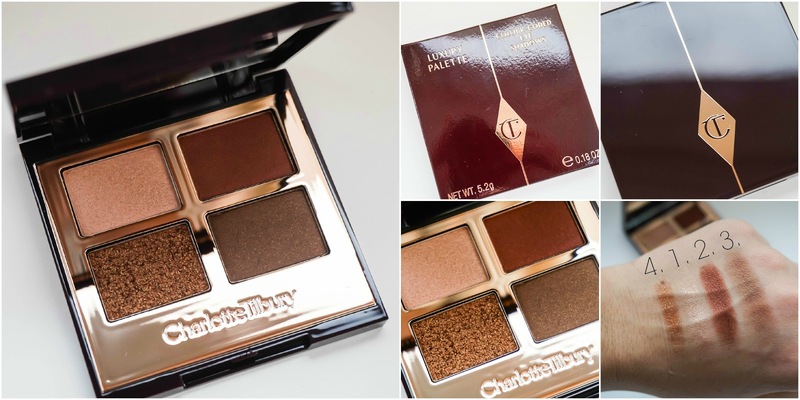 As promised I am back with a full review on this stunning eyeshadow palette from Charlotte Tilbury which I gave you a sneak peak of here. This palette is The Dolce Vita and frankly speaking it's simply a stunner. As you can see the rose gold packaging continues on throughout this palette but personally I just don't think it's as stunning as the Filmstar Bronze & Glow palette, since it doesn't have that wow factor I would expect for the price. Nevertheless it's a gorgeous palette and most importantly it's of high quality which is what matters most at the end of the day. 1 is Prime which is this shimmering champagne shade, it basically does what it says as you can apply it all over the lid to prime the eyes before creating your smokey eye. It's also great for using under the brow bone and in the inner corner of the eye to brighten or highlight those areas. 2 is Enhance which is a bold rusty burgundy colour and it's also my favourite of the bunch. I just can't get enough of the shade it's absolutely gorgeous and it's my perfect Marsala shade for the year ahead. Even applied on its own all over the lid with a tiny bit of Prime in the inner corner of the eye it look effortlessly beautiful. 3 is Smoke which is a bronze toned shade with subtle gold shimmer throughout. This is a great neutral colour but I guess it just doesn't excite me as much as the Enhance shade. I've much preferred applying this on the lower eye lid and blended up into the very outer corner of the eye, as I like to leave the burgundy shade as the showstopper. 4 is Pop which is basically a copper glitter packed into the pan. I have to admit that I was a little bit disappointed by this initially because from the photos I have seen online, I was expecting some sort of a foiled eyeshadow which it isn't. The only way to successfully pick this up from the pan & transfer it onto the eyelid is by using MAC Fix+ on the brush before hand or patting it on the lid using your finger tips. It's a little more effort then I had expected but once it's on the lid it's stunning and totally worth it. Without a primer these shades didn't last on me longer then 6 hours, which is perfect for a night out but not so much for a full day's wear. This isn't a deal breaker for me though as it happens with all my eyeshadows and I've got my trusty Urban Decay Eye Primer to help, since I use it every single time I wear eyeshadow. 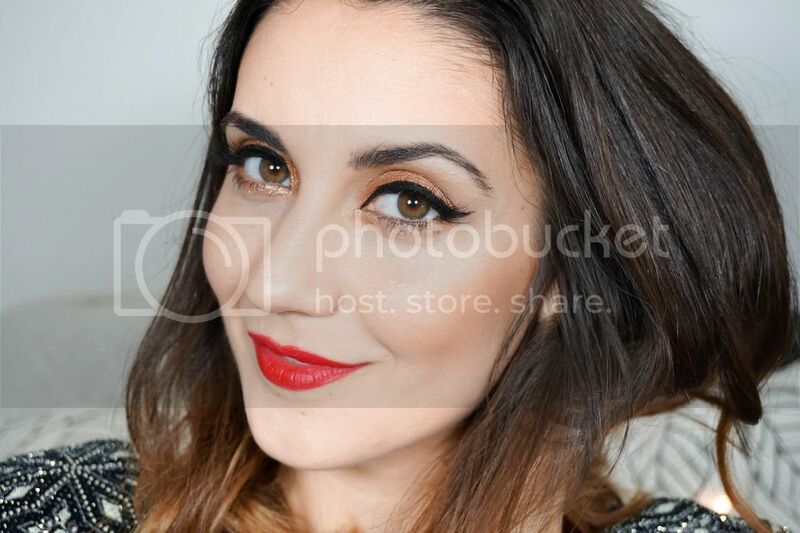 On Saturday I will post my own version of the iconic dolce vita look, so if you're interested to see that and the way the shadows look on don't forget to check that out. There's 8 different eyeshadows to choose from the range including this one and personally I've already got my eye on Vintage Vamp (eyeshadow palette junkie over here seriously in need of help). Have you got any of the CT Eyeshadow Palettes? Which one is your favourite?